Receptacle Tester identifies proper wiring in three-wire receptacles and identifies false (bootleg) grounds. Use it to test GFCIs and EPDs for proper operation. 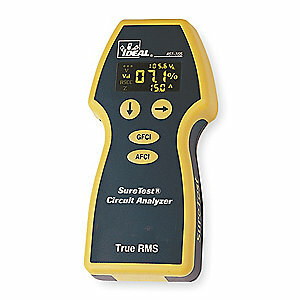 Circuit Analyzer is a True-RMS tester that measures line voltage, peak voltage, frequency, ground to neutral voltage, ground impedance plus hot and neutral conductor impedances. 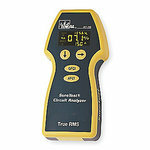 Also check our Circuit Breaker Analyzers!